Being a parent has many benefits; one of the more unexpected ones is having a convenient excuse for watching Disney's Frozen more times that I can remember. To be honest, I may have watched the movie more times than the kids have! What can I say? Elsa's coming-of-age story, the power of sisterly love, and Anna-Kristoff's sweet, goofy romance really resonated with me. 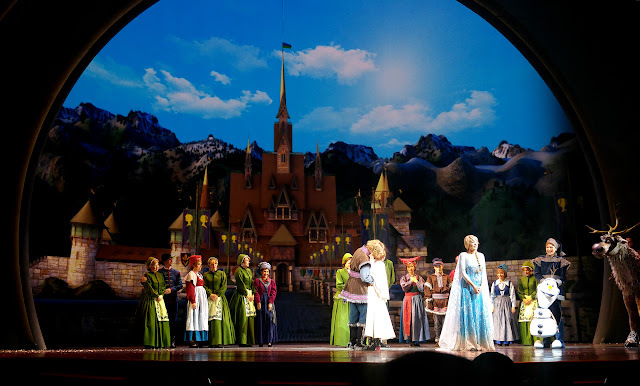 After watching Frozen half a dozen times in the movie theater and countless more on tv and DVD, I thought I had finally gotten the Frozen Fever out of my system. 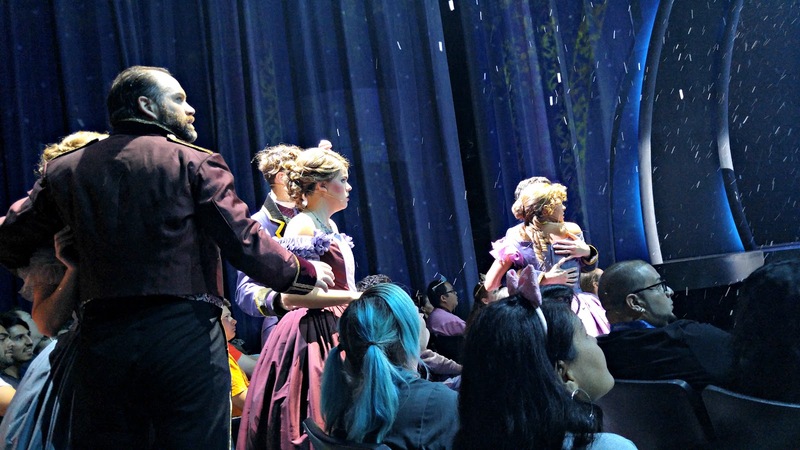 Then Disney had to go and come up with a stage version for the Disneyland Resort and invite me to the premiere performance.... and now I find myself obsessed with Frozen all over again! 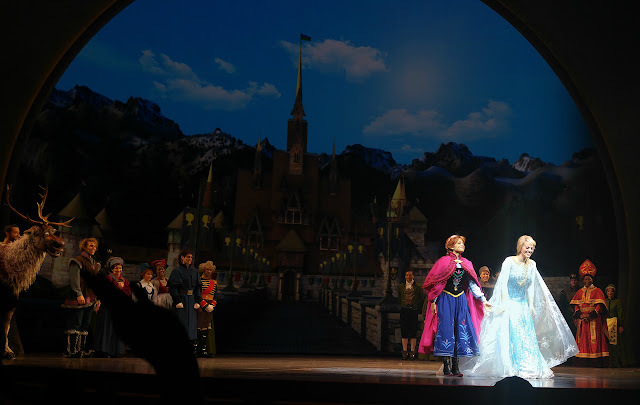 Frozen: Live at the Hyperion opened at Disney California Adventure on May 27, and it has given Frozen lovers like me a chance to relive the Frozen story in a totally different way. 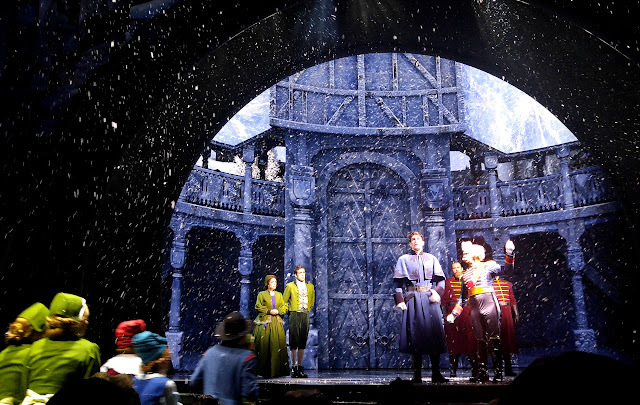 I honestly didn't think I would enjoy Frozen Live as much as I did. 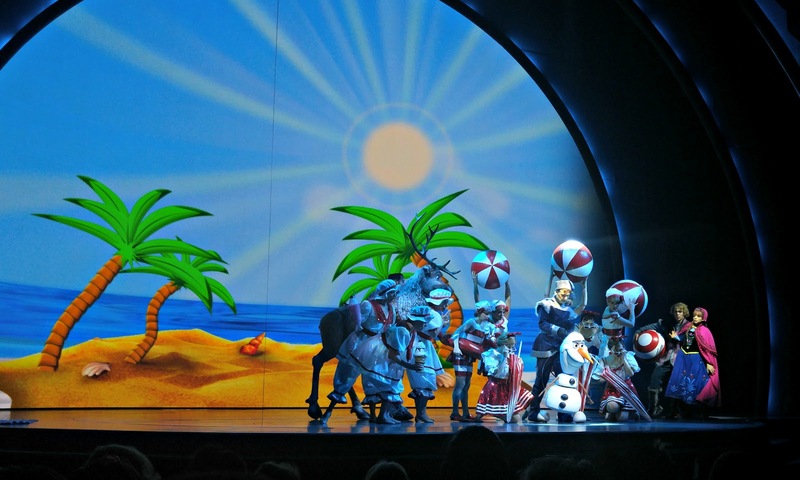 I was quite sad when Disney Parks announced they were wrapping up Aladdin at the Hyperion Theatre. I have fond memories of taking the kids to Aladdin on their first trip to Disneyland, and we had made it a tradition to escape the mid-day heat inside the Hyperion laughing at the Genie's jokes. I didn't think Frozen was particularly suited to musical theater, because most of the songs were solos or duets. 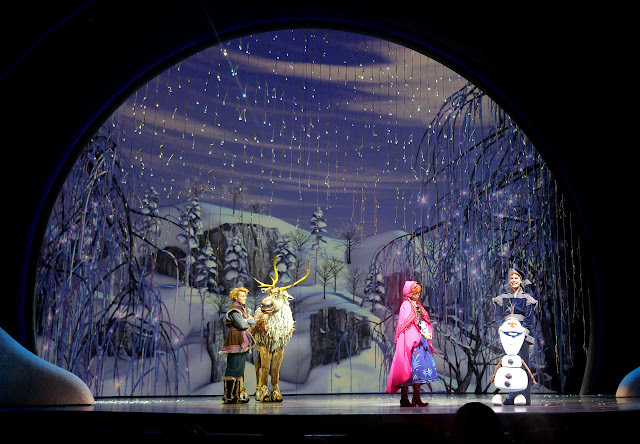 I couldn't see how they were going to make it significantly different from the Frozen Sing-Along show -- which, while charming, was definitely no headliner. 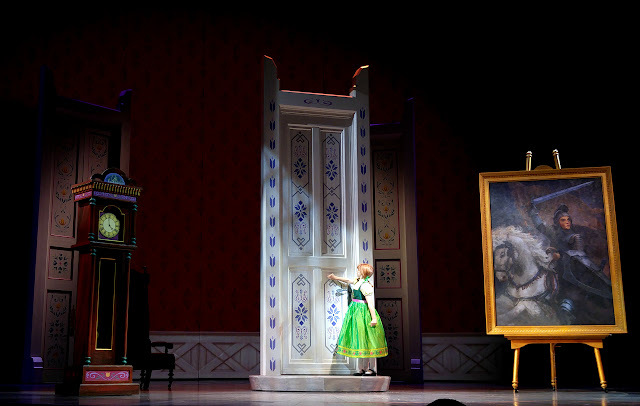 The cynical side of me figured they were only doing Frozen because they wanted to capitalize on Frozen's popularity. I may still be right about Disney capitalizing on Frozen Fever, but I was wrong about everything else. 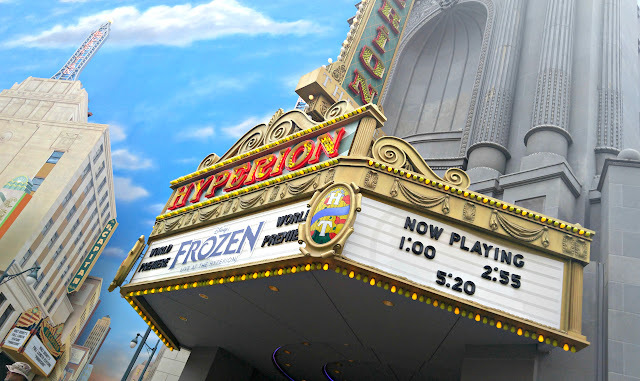 Frozen: Live at the Hyperion was amazing! I totally loved it! 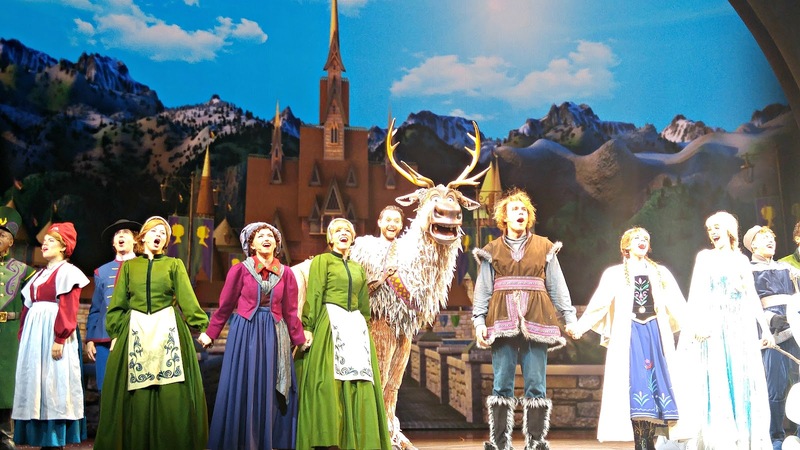 The cast members were great actors (I'm not ashamed to say I shed a few tears) and singers (no live orchestra, but they sang everything live). 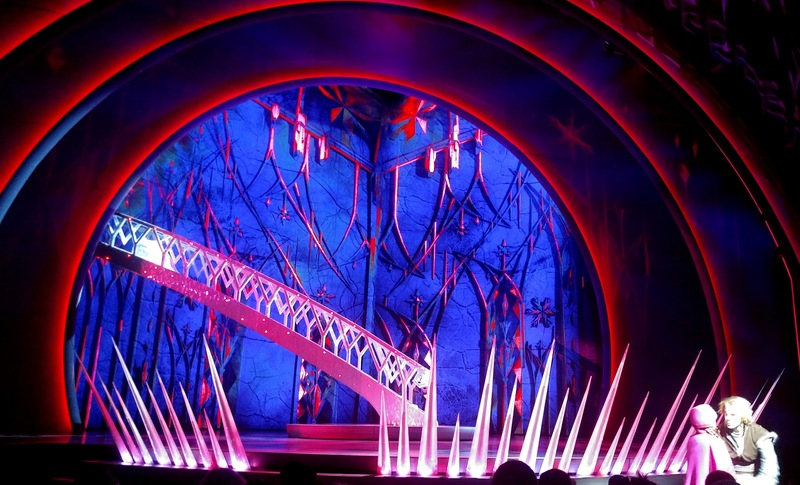 Their special effects were ten times more sophisticated than Aladdin's. 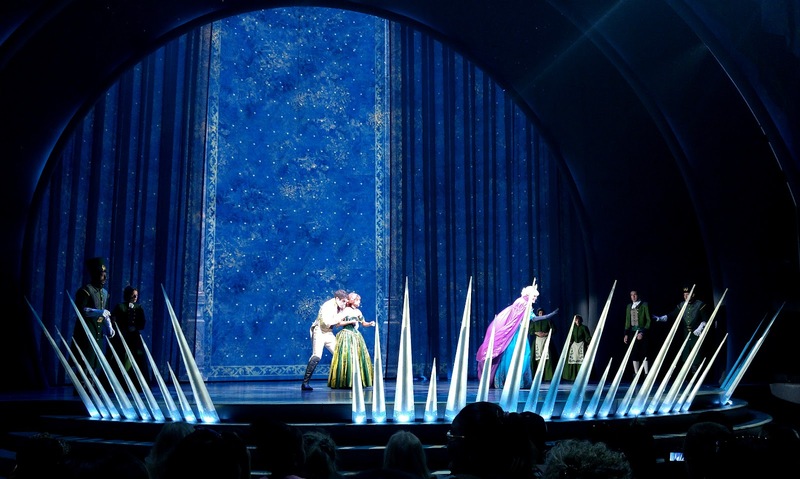 They use video projections, not only for the backdrop, but all around the sides of the theater, so the entire place can transform from the mountains of Arendelle to Elsa's ice palace. 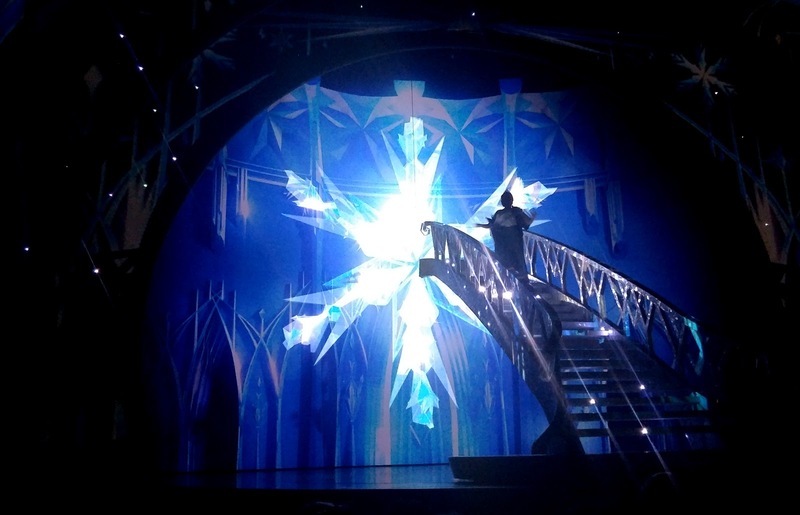 Everything is computer controlled, so Elsa can create magic snow flurries or a virtual Olaf with a wave of her hand. 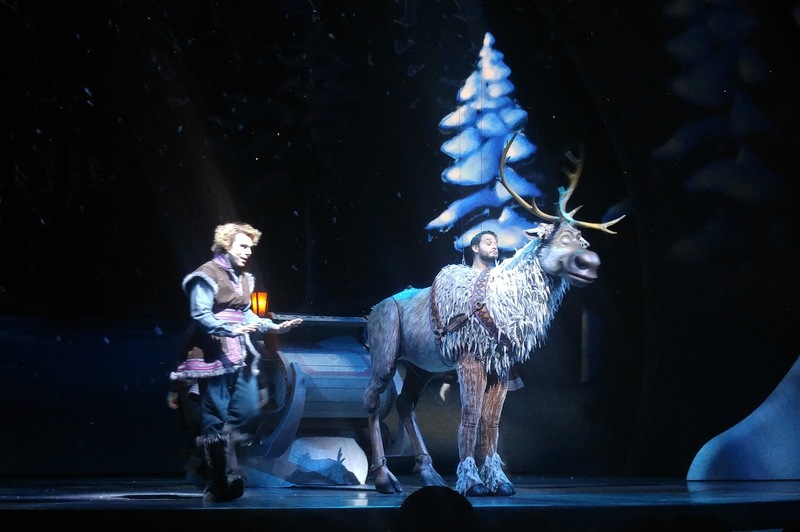 Speaking of Olaf, they have taken a page from The Lion King on Broadway and used life-sized puppets to portray Olaf and Sven (the puppets can blink and roll their eyes, but they don't have the full range of expressions, so the actors who control them are actually visible, so you can see the expressions on their faces). Even the costumes are high tech. Anna's dress in the final scene has special sensors, so they can use video projections to turn it into ice when she freezes solid. 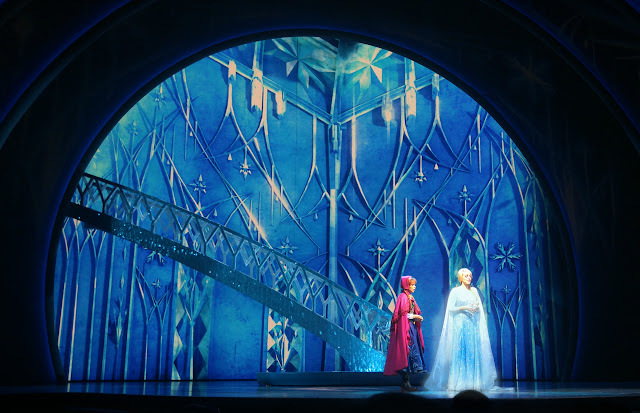 I've watched the show twice, and I still can't figure out how Elsa changes her coronation dress into her Snow Queen dress. There are so many details that I think I could watch this show many, many times and discover something new. 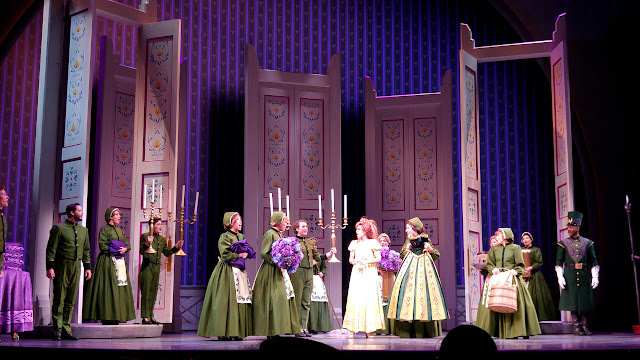 The famous Disney attention to detail strikes again! To be sure, there are a few major differences between the movie version and the stage version. Songs like Love is an Open Door, Summer, and For the First Time in Forever have been turned into ensemble numbers with dance sequences. 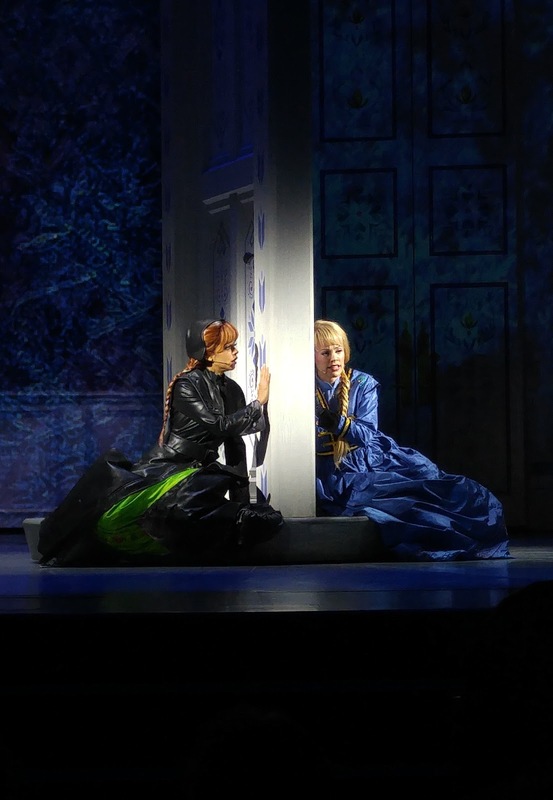 The cast sings a reprisal of Love is an Open Door for the grand finale. Anna and Elsa's parents make a cameo appearance at the end. And sadly, Marshmallow and Oaken have been cut from the script (Oaken does make a teensy cameo appearance), probably due to time constraints. 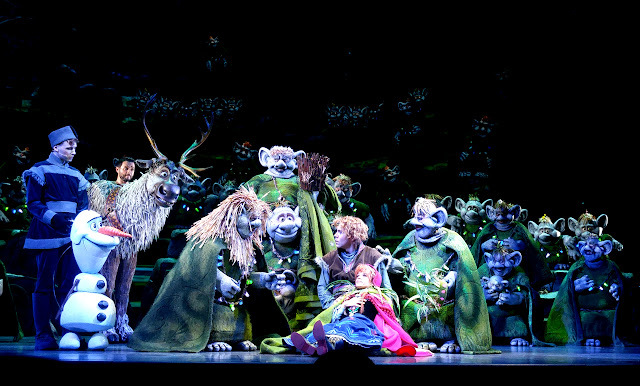 But the essence of the story remains, and it's sure to resonate with audiences as much as the movie did. Disclosure: I was invited to a press event and the premiere performance of Frozen: Live. 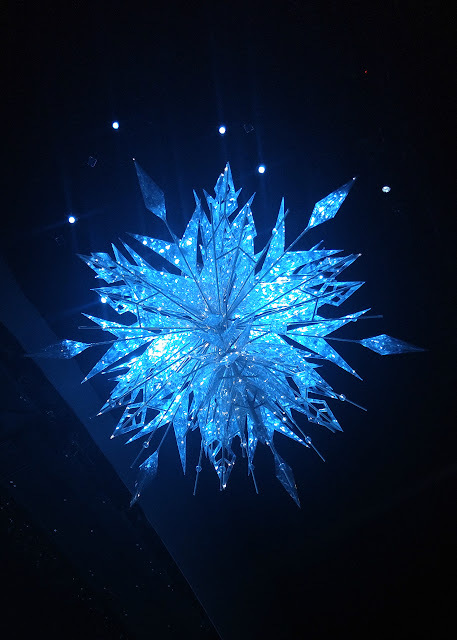 Disney Parks covered my travel and park expenses. 10 Reasons to Fly out of San Jose Mineta Airport.